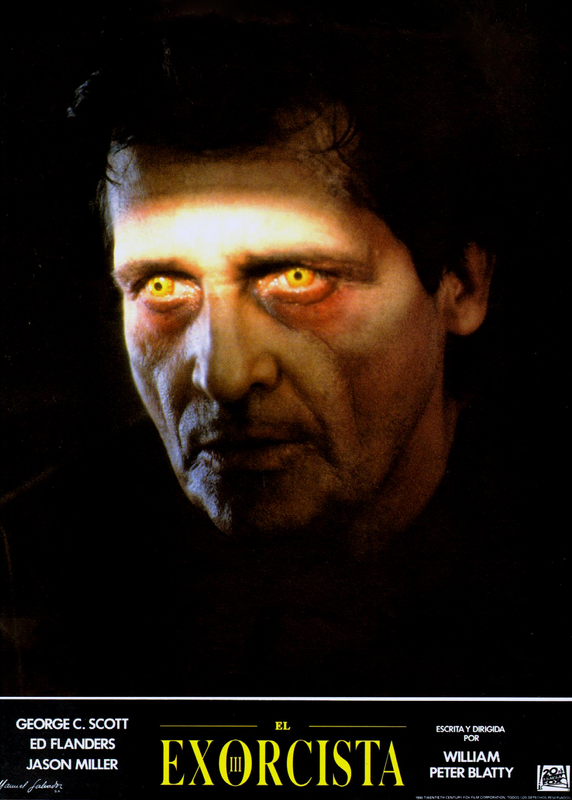 Director/Screenplay – William Peter Blatty, Based on his Novel Legion, Producer – Carter De Haven, Photography – Gerry Fisher, Music – Barry Devorzon, Visual Effects – DreamQuest & Industrial Light and Magic, Special Effects – Bill Purcell, Additional Special Effects Supervisor – Norman Reynolds, Makeup – Greg Cannom, Production Design – Leslie Dilley. Production Company – Morgan Creek/Carter De Haven. Plot: Police lieutenant William Kinderman is faced with a baffling series of murders in which each victim has been decapitated and their head replaced with the head from a marble statue of Christ. The killings emulate in every detail the m.o. of the Gemini Killer who was sent to the electric chair fifteen years ago. In investigating, Kinderman discovers his old friend Father Karras being held in a psychiatric ward. 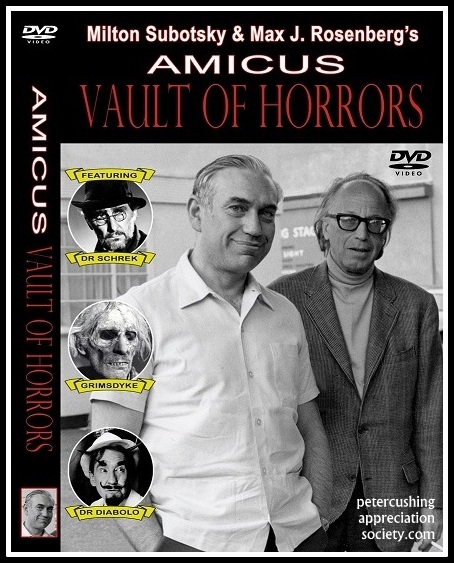 Kinderman realises that Karras is tormented and tortured by The Devil who keeps the spirit of the Gemini Killer alive inside him and forces Karras to watch as his own body is used to kill innocents. To say that one preferred The Exorcist III to the original The Exorcist (1973) is probably to commit critical hara kari. The trouble with the original was that when the sensationalism was pared away, it was only a fairly hokey and in many ways crude barnstormer. 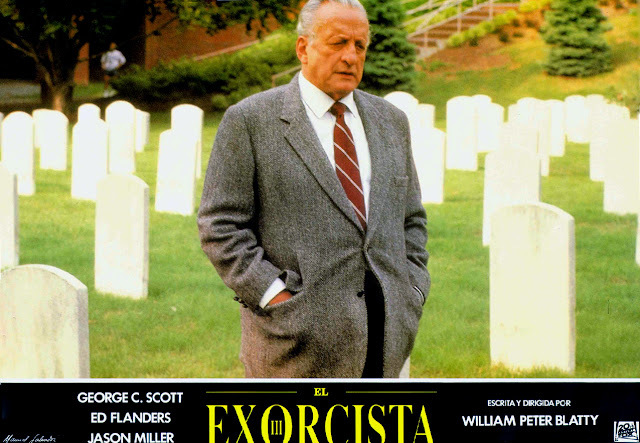 The Exorcist III is written-directed by William Peter Blatty who wrote the original novel version The Exorcist (1971) and then produced and wrote the screenplay for the film adaptation. Basing the film on his original novel sequel Legion (1983), Blatty abandons gross-out tactics altogether and plays the script as a theological detective story – one where the puzzle is solved by Kinderman’s finding faith. 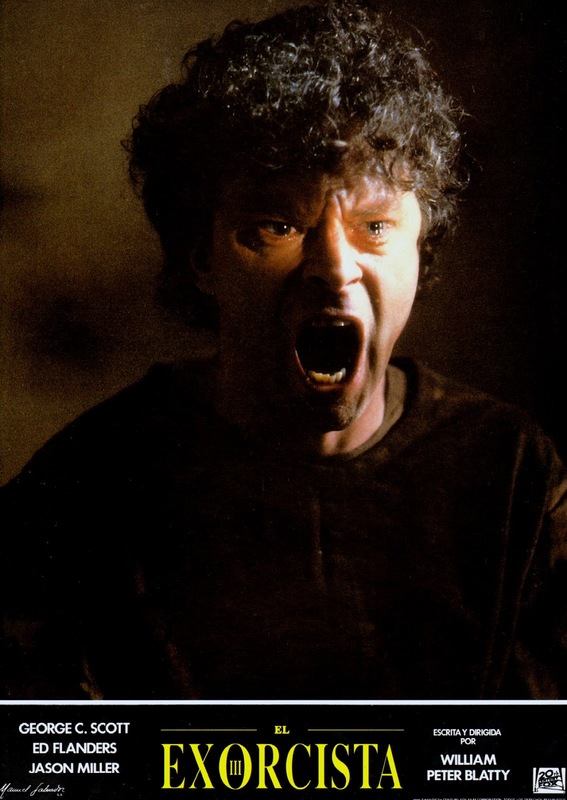 As a result, The Exorcist III emerges as a far better reworking of essentially the same story as The Exorcist – Kinderman’s finding of faith comes with far more emphasis and delineation of character compared to the same journey undergone by Ellen Burstyn in the original. In a decade that has almost entirely inured one to the power of a good scare, William Peter Blatty, in what most cynically predicted would only be another Roman numeral exploitation film, comes in an outside winner, conjuring a series of wild, outlandish theatre-rattling jolts. The dream sequence with George C. Scott moving through Heaven, which is presented as a Grand Central Station of sorts where the dead try to contact the living by radio, to find Ed Flanders with his head stitched on who turns to look at Scott and say “I’m not dreaming,” holds a strong kick. Or the moment where George C. Scott enters the vege ward and the camera pans upwards to show one of the patients scuttling about on the ceiling. However, the scene that makes the entire audience jump is the one that follows a night-duty nurse around the ward as she checks on strange noises she hears. Mostly shot in a single wide-angle down the shaded ward corridor, one is startled out of their seats as she emerges from the room she has just checked, followed in complete silence by an alabaster-white winged figure. The camera suddenly slams into a medium angle up on the figure, revealing it to be one of the headless statues come to life. It is a genuine scare that has a truly fantastique wildness to it, no matter how silly it may seem when one thinks about it afterwards. It is ironic that the film’s only failing comes in trying to emulate the current crop of effects-heavy clones. The studio forced a new ending on the film after deciding the one that William Peter Blatty originally shot was too tame. However, it is a surprisingly wimpy display of effects and conversely only ends the film on an anti-climax. The new character of Father Morning, played by Nicol Williamson, added here is poorly developed and unnecessary. 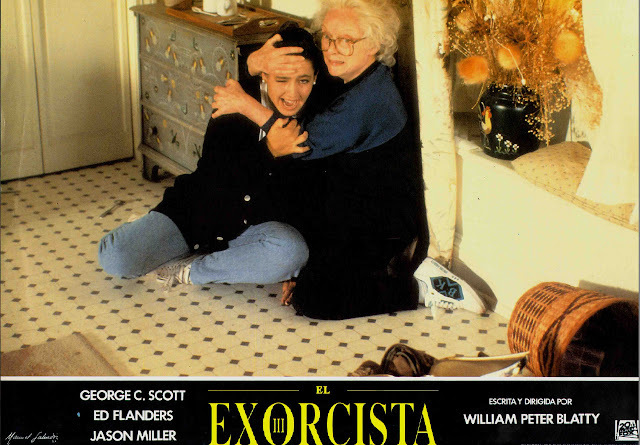 Among other things, the studio insisted on a return appearanceE of a character from The Exorcist, which is why Brad Dourif’s scenes are broken up by appearances of Jason Miller, which were added later. 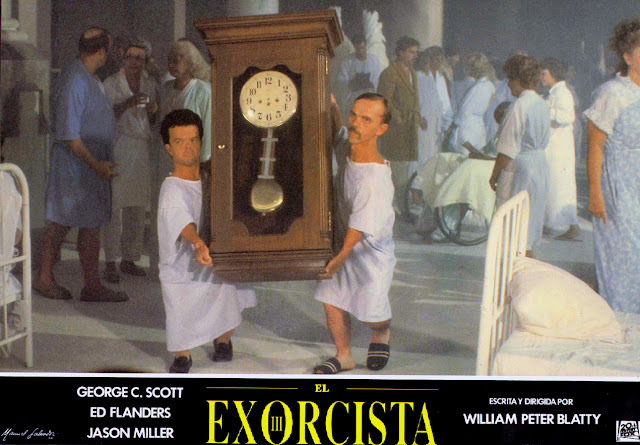 The studio also insisted on naming the film The Exorcist III, as opposed to William Peter Blatty’s preferred title of Legion (1983). 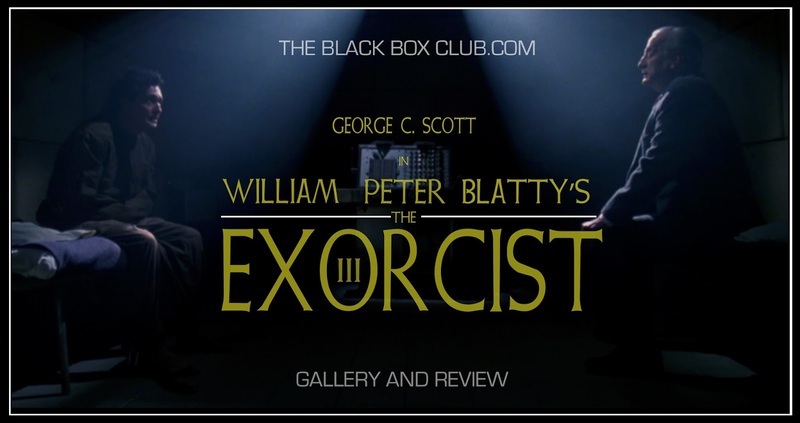 Blatty has announced a desire to release a director’s cut of the film, his original version, which is substantially different to the one released by Morgan Creek, but apparently the studio has announced that all of this original footage is lost.